Our family roots in the industry go all the way back to the 1930's and span five generations, seven stores, and seven jewelers/watchmakers. 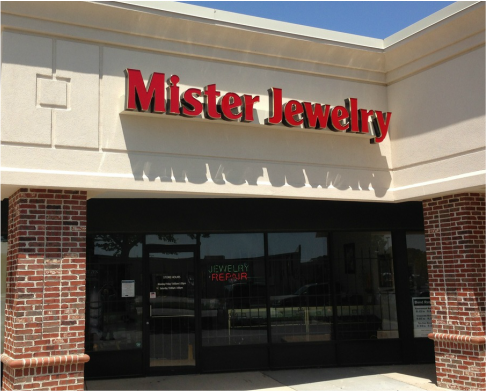 In the late 1970's, David Mister decided to change careers and return to the family business. Having worked at his grandfather's jewelry store as a teenager, he decided to train as a jeweler and set about that goal in the garage of his home. In 1981, David and his father opened his first store on Princess Anne Road in Virginia Beach. 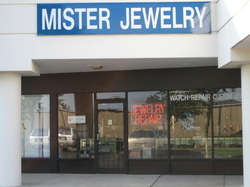 One year later, Mister Jewelry moved to Fairfield Shopping Center where we grew for most of the eighties. During that time, David's son Jason began his career in the jewelry business as a casting finisher and polisher. On March 1, 1989 our current store was opened at Kempsriver Shopping Center, where we have been part of the community for over 25 years! In recent years David's grandson Jake began his career in the jewelry business, followed by David's retirement in 2012. Our great grandfather was a watchmaker in Pennsylvania during the late 1930's and early 40's. 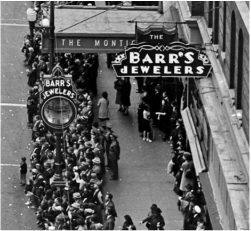 Forced to get another job because of the poor economy, he moved his family to Norfolk in the early 1940s to work at Barr's Jewelers on Granby Street. Our great uncle used to wind that sidewalk clock each day as a teenager. Later in the decade they opened their own store on Colley Avenue. Our father, uncle, and cousins all worked in this store during their teen years. In the 1960's a second family store was opened at Little Creek East in Norfolk which our family ran into the 2000's.